We meandered down the street looking for a nice restaurant. 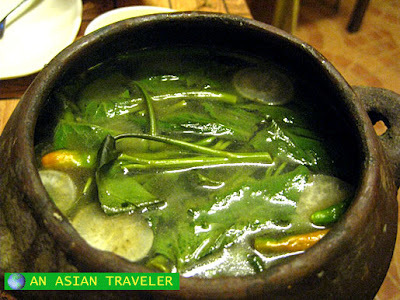 Imagine my surprise when we arrived at Banoks Ihaw Ihaw Restaurant, which is one of Davao City's leading restaurant chains. I was quite amazed at the popularity of this place. It was busy, crowded and tables were filled to their capacity. Since we had to wait a long time for a table, we left and went to try their smaller branch which is just across the street. Banoks by the way is short for Barbecue Manok (chicken). This restaurant has an informal open-air structure with electric fans. However, the hot and stuffy area made me bathe in a shimmer of sweat. Phew! We tried to order a few dishes but we were told that that it was not available for some unknown reason. So we had to settle for their house specialty - the marinated and barbecued chicken, which I think is another favorite among diners. 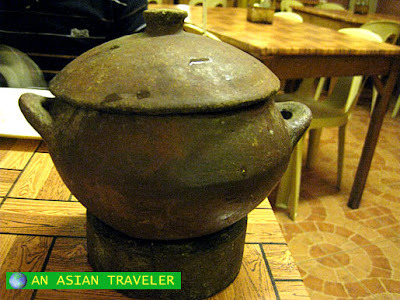 We also had sisig and sinigang na baboy (pork in a soured broth) served in traditional palayok (clay pot). What's good about this eatery, they serve unlimited rice. Overall, the food was fine but the service was a bit slow. 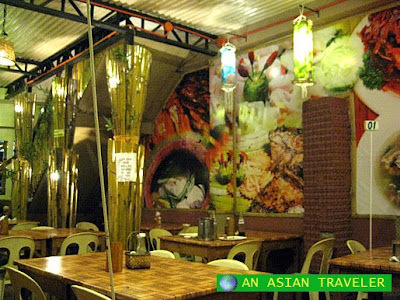 This Banoks branch is near People's Park and surrounded by other busy restaurants. If I'm not mistaken, this eatery has 11 outlets in Davao City. 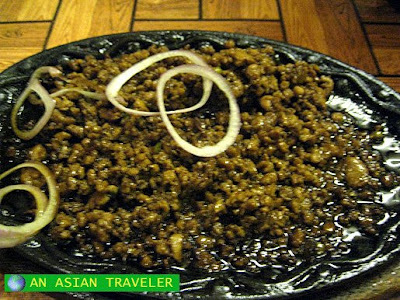 Looking at those photos makes me wanna hop on a plane and go home to satisfy my craving! Yummy! there! now i know why it's called banoks! funny how they got the name. unlimited rice!!! yihaa! Now I learn a word of Tagalog, Manok = chicken. Shall be useful when I visit The Philippines one day. Those photos made me hungry!